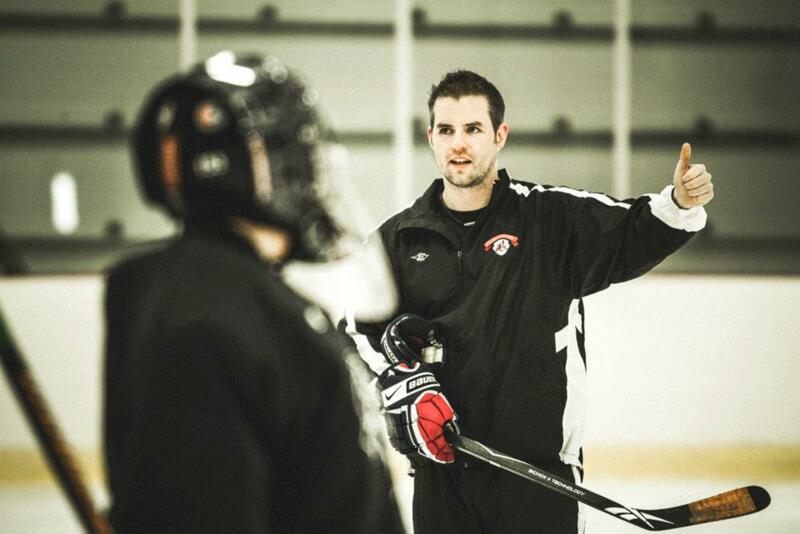 Coach Jim Stanaway, 32, has been running and working with hockey schools for 12 years. Stanaway has obtained a USA Hockey Level 4 coaching certification, and for (3) seasons manned the bench for the 2013-2014 Busch Cup Champion, Marquette Royales Junior A Hockey Team. Dozens of players under Coach Stanaways direction have reached their goals of playing at the NCAA level. A native of Marquette Michigan, Jim, has worked with kids of all ages and skill levels. While Jim was attending Finlandia University (NCAA DIvision 3), he served as a volunteer coach assisting the local youth hockey association’s goaltenders. At the conclusion of Stanaway’s college career, he went on to run the bench for the Green Bay Junior Gamblers Midget AAA team, and was a member of the first coaching staff for the Ashwaubenon Jaguars Varsity Hockey Team (Ashwaubenon, WI). Wisconsin is where Stanaway started Goalies Inc. He realized the need Wisconsin had for professional and affordable goaltending instruction. Goalies, Inc. held their first camp in June of 2008 in Oshkosh, WI. We are now entering in our 10th season as a premier choice for goaltending instruction in the Midwest region, and Jim has had the privilege of holding camps all over the Mid-West, San Diego Califorina, and a special camp in Belfast, Northern Ireland, while working with goaltenders from the level of mites to college. In the Summer of 2017, Coach Stanaway joined Mitch Korn (Washington Capitals, NHL) to hone in and enhance the Goalies, Inc training programs. 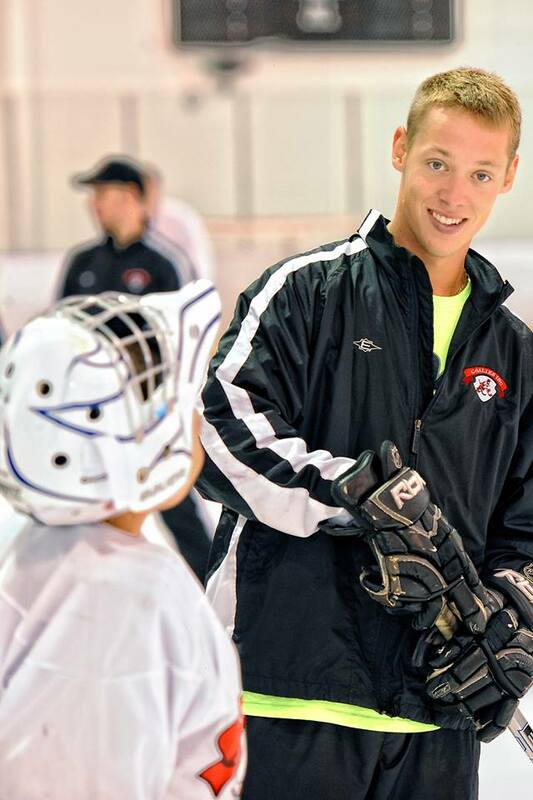 Coach Korn mentored Coach Stanaway, and influenced his approach to coaching goaltenders greatly to help shape the exciting camps Goalies, Inc offers today! Coach Stanaway also joined forces with other great coaches such as Ryan Honcik (Green Bay Gamblers, USHL) to develop his current systematic approach to coaching. Stanaway graduated from Northern Michigan University in the spring of 2017 and holds a Bachalors of Arts in Biology.